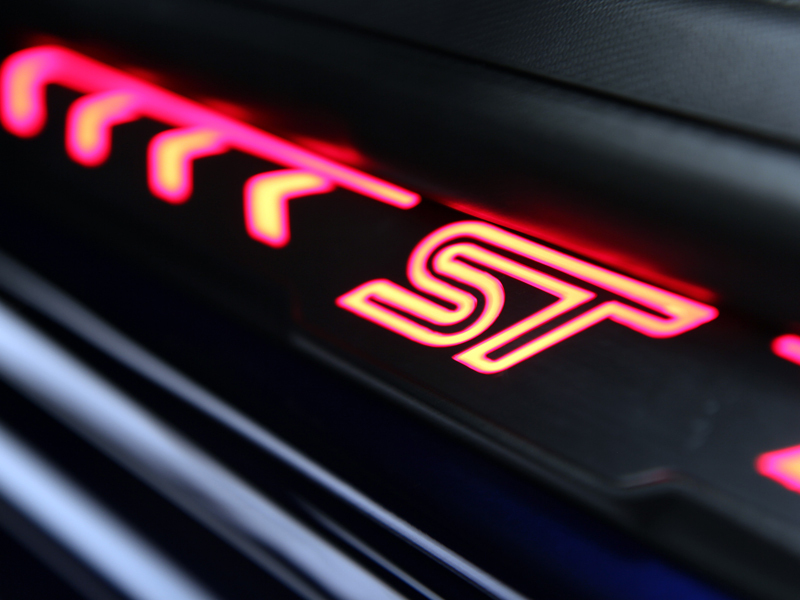 The Ford Focus ST has built up a loyal following over the years and it’s easy to see why: it’s the perfect fusion of fun, practicality and affordability. 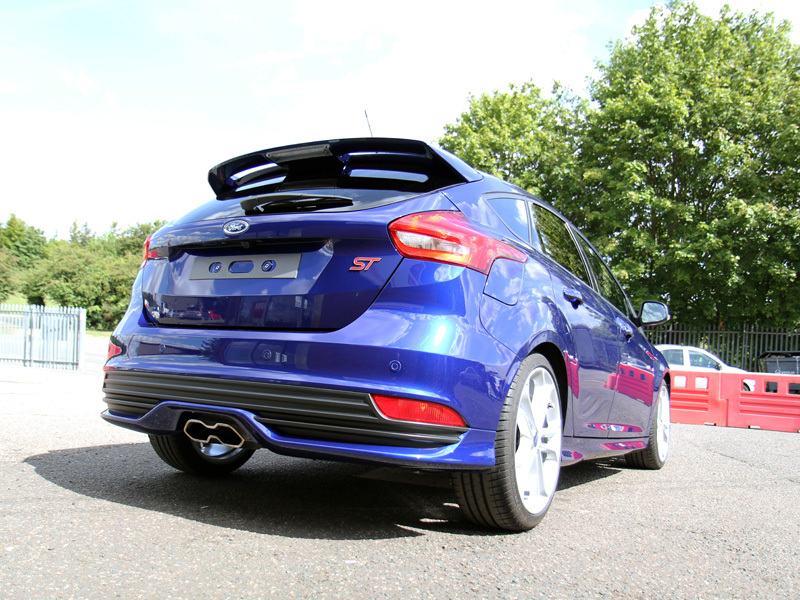 Add in some striking paint colour options and it’s the perfect recipe for Hot Hatch Legend status! 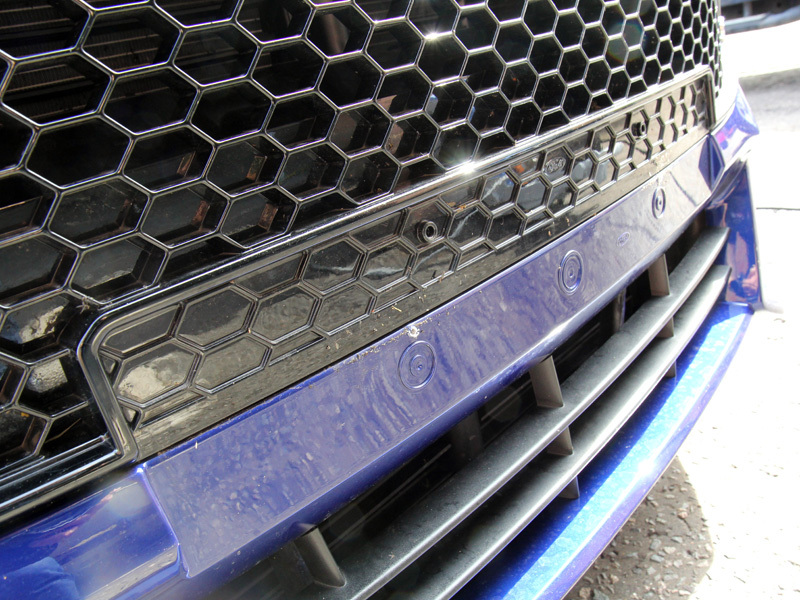 This ‘Deep Impact Blue’ ST-3 was a reasonably new car with only a few thousand miles under its tyres, but even so it had still amassed some swirls and scratches, along with a few small stone chips. Also one of the alloy wheels was in need of some attention, having recently encountered the edge of a kerb! The ST was duly booked into the UF Detailing Studio for Gloss Enhancement Treatment, Alloy Wheel Refurbishment and Paint Chip Repair! To begin with the number plates were removed to allow for more thorough cleaning and to allow the protective sealant to be applied over the whole car. Then the ST was treated with GYEON Q2M Iron, a pH-neutral cleaner which acts on ferrous contamination generated during braking. 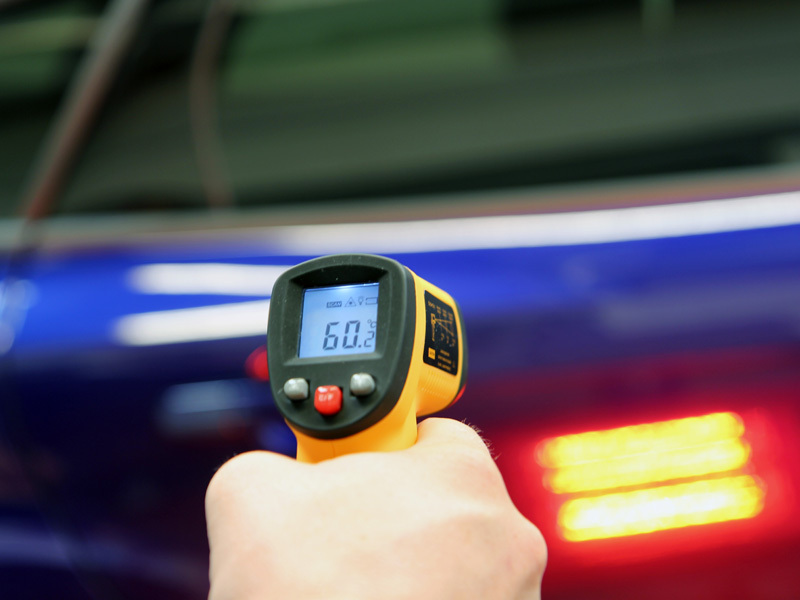 The tiny, hot particles attach readily to wheels and bodywork and if left untreated may cause permanent pitting on the surface. Q2M Iron is a sprayable gel that clings to vertical surfaces for longer working times and changes colour when activated on contact with the particles. When colour development has peaked the solution can be rinsed away, safely carrying the contamination with it. 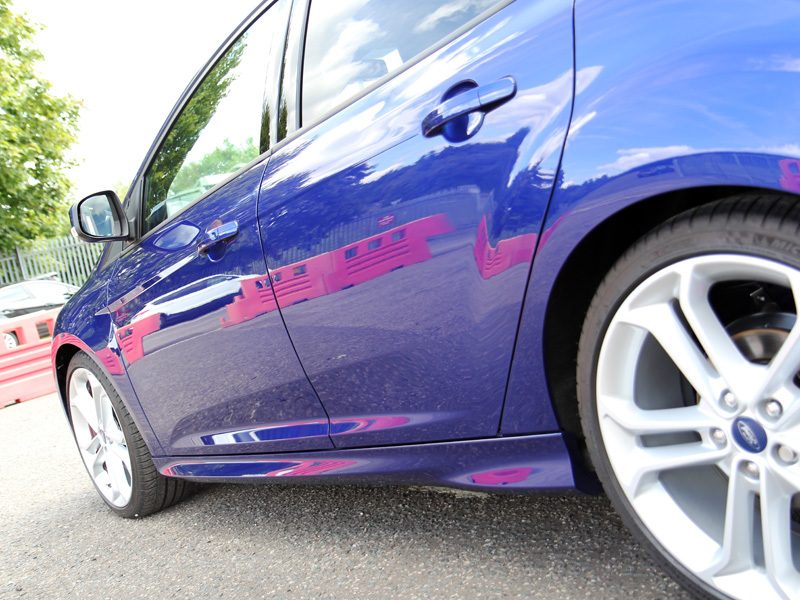 To remove sticky contamination such as tar, bugs and tree sap, the car was treated with GYEON Q2M Tar. 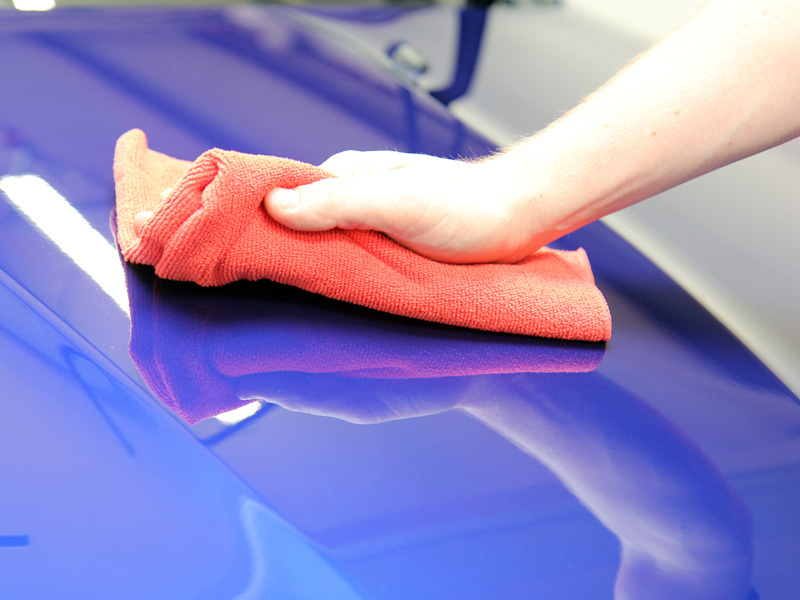 After rinsing the car was thoroughly degreased using Meguiar’s All Purpose Cleaner with particular attention paid to the boot, bonnet and door shuts and catches; natural traps for oily build up. 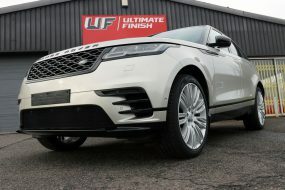 As the final stage of pre-cleaning, Ultimate Snow Foam was applied using a Kranzle K1152 TST pressure washer with a Kranzle Ultimate Snow Foam Lance. The thick foam generated clings to the surface and lifts larger particles of dirt and grit away, allowing them to be rinsed clear prior to the main wash. 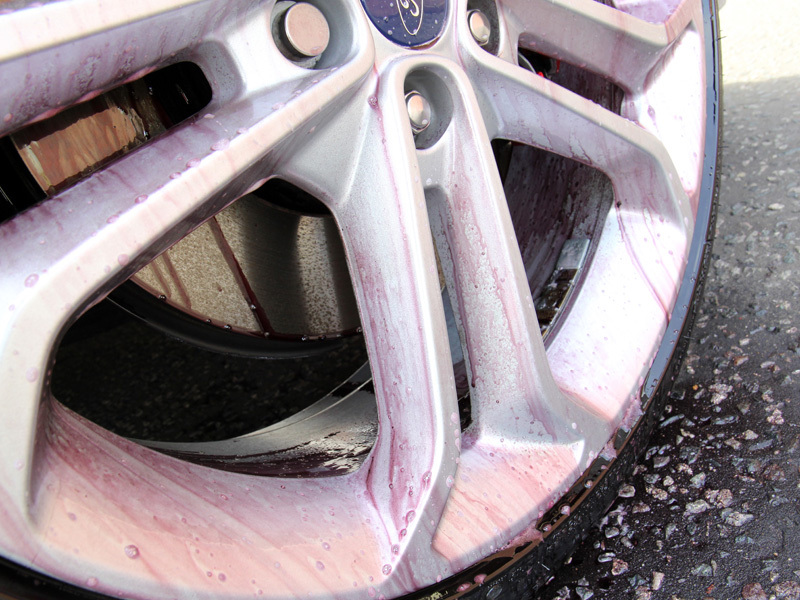 The ST was then washed using the Two Bucket Method, GYEON Q2M Bathe and an Ulti-Mitt Double Sided Merino Wash Mitt. After rinsing, an Aqua Gleam De-ionising water filter was connected in-line to give a final, pure water rinse. The car was then dried with ultra-soft microfibre drying towels before being moved into the studio. 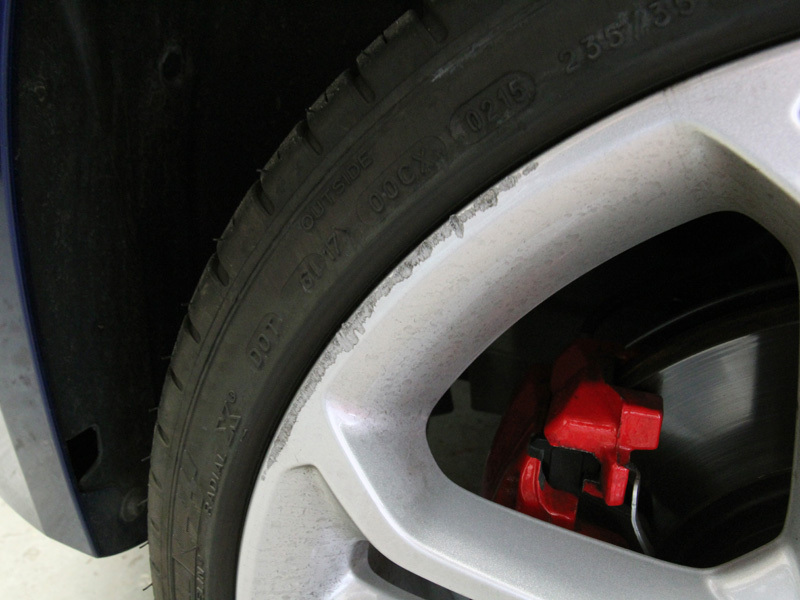 The damaged wheel was removed and sent for refurbishing, multiple paint depth mesurements taken and the paintwork closely inspected under high intensity lighting to reveal any damage. Prior to machine polishing the stone chips required attending to. ChipEx Paint Chip Repair System uses the manufacturer’s paint code to give an exact colour match. 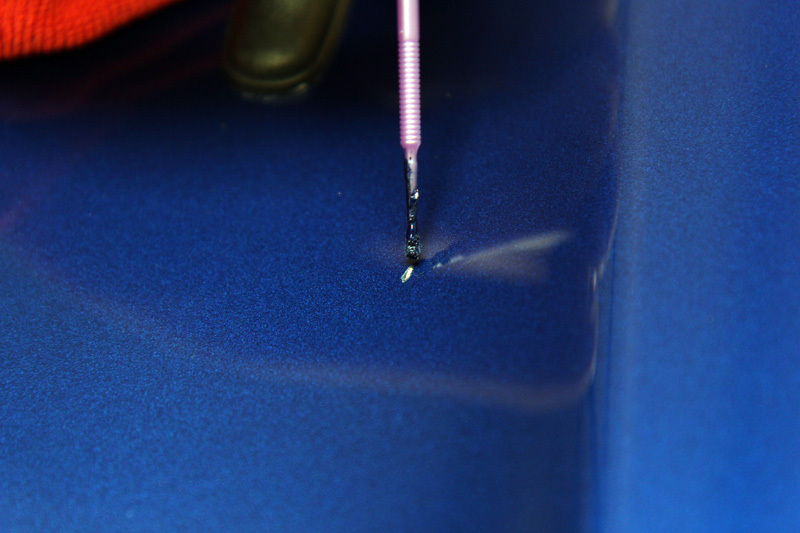 The paint is applied into the stone chip with a special applicator that allows a ‘blob’ to be precisely placed. This fills in the gouge left by the stone chip, raising it to a similar level as the rest of the paint. Once dry, the treated area is smoothed with a special blending solution and then allowed to cure before finally being machine polished. 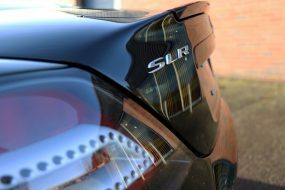 To remove any swirls and imperfections found during the appraisal and to enhance the paintwork prior to final sealing, SCHOLL Concepts S20 Black Real 1-Step Compound was used with a RUPES LHR15ES BigFoot dual action polisher. 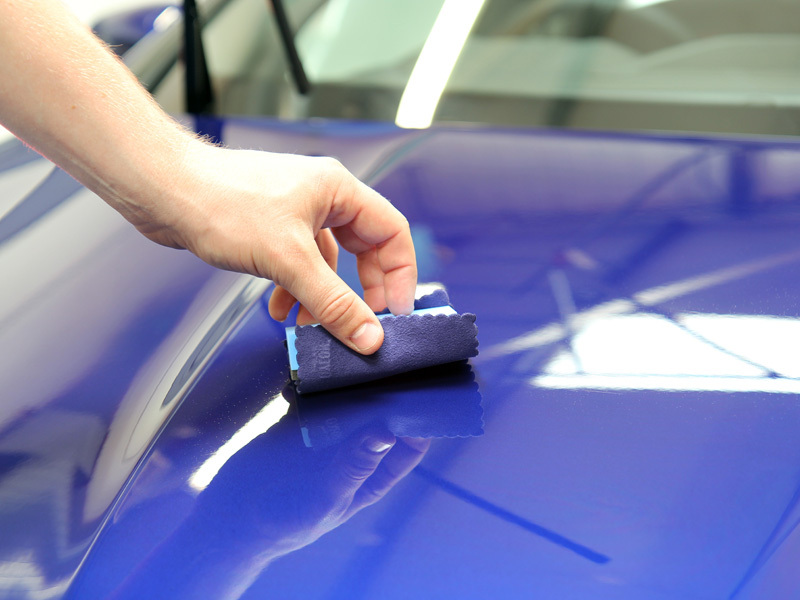 The abrasives contained within S20 diminish as they are worked, correcting and then refining the paintwork in one stage to leave a high gloss, blemish and hologram-free finish. The newly repaired wheel arrived back from the specialist refurbishers and after close scrutiny was found to be in perfect condition. 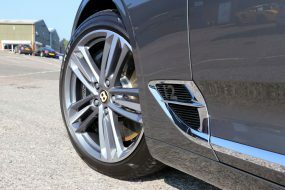 It was placed back on to the car and then the paintwork and wheels were cleansed using GYEON Q2M Prep, ensuring the surfaces were completely free of any polish residues that would interfere with the bonding process of the sealant. 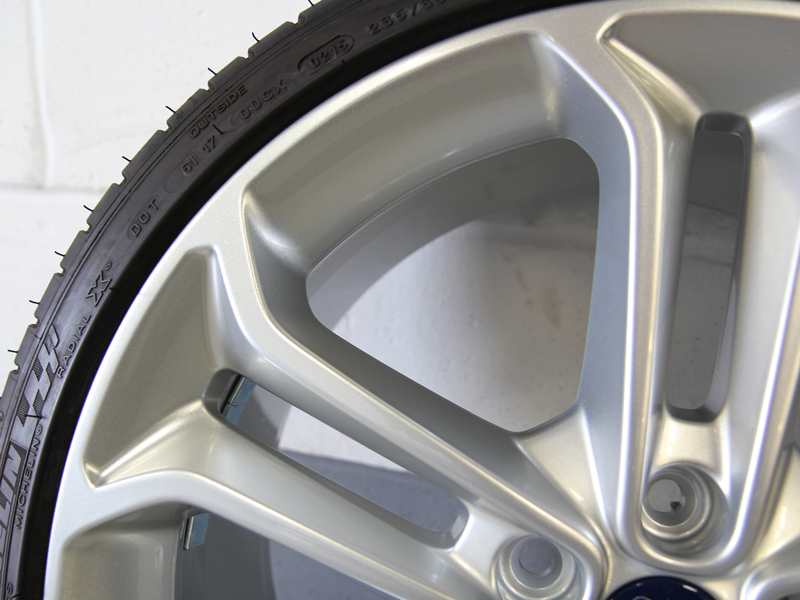 To protect both the paintwork and wheels GYEON Q2 DuraBead was selected. 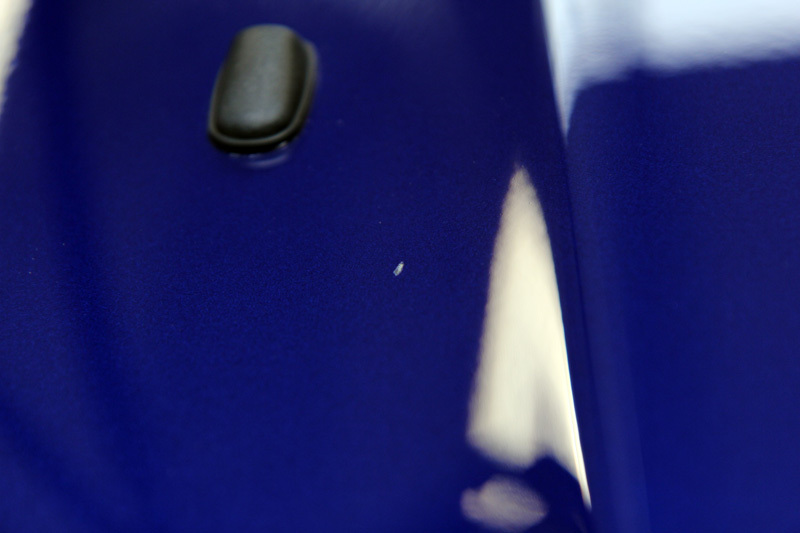 Q2 Durabead is a paint protection system consisting of GYEON Q2 Mohs topped with a layer of GYEON Q2 Bead. Q2 Mohs is a nanotechnology-based quartz coating with a hardness of around 9H on the Mohs scale. Q2 Bead is a new, innovative product unique in its formulation. Many nanotechnology-based sealants rely on strong chemical bonds to form a hard, sacrificial glass-like protective layer, or they take a crystallised lattice formation. Q2 Bead is different, laying down an amorphous (unstructured) hybrid organic-silica coating. Structured coatings have preferred lines of cleavage; they tend to break into regular shapes along the grain of their crystal structure. Amorphous materials do not have an organised crystal structure and therefore tend to be tougher and more resistant to pressure. As a result Durabead is inherently resistant to swirls and scratches. 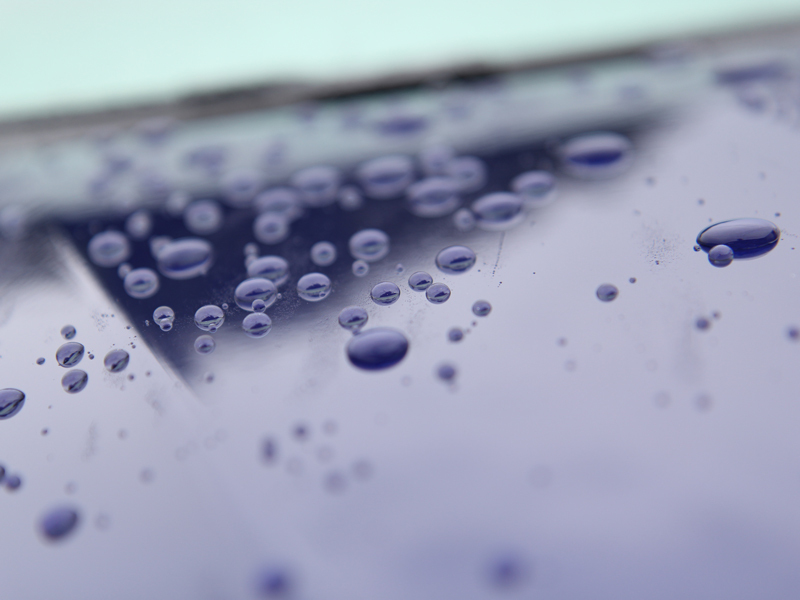 In addition, Durabead has been enhanced with fluorine to impart significantly boost the hydrophobic properties: with a water contact angle of 120 degrees it’s 30 degrees away from being classed as superhydrophobic (read more about nanotechnology hydrophobic properties here). Durabead is applied as a three-stage process. Initially Q2 Mohs is pipetted onto a suede applicator cloth and then wiped lightly over a panel at a time. 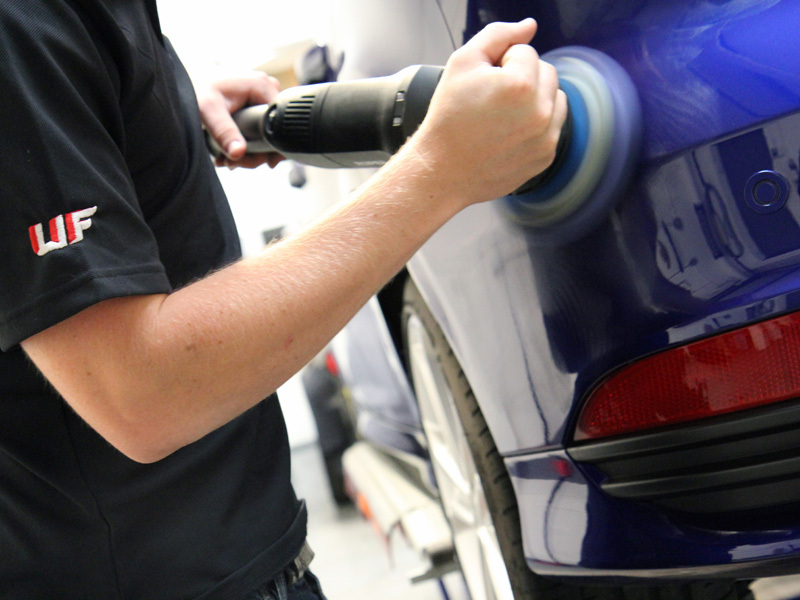 The panel is then carefully buffed with a non-scratch microfibre to remove any excess, particular attention being paid to avoid hazy patches which can be caused by excess product. Once all the panels were treated, the initial layer was left to cure for around sixty minutes before another layer was applied. After the second coat of Mohs, the panels were heated to sixty degrees Celsius with infrared lamps to accelerate the curing process which under normal circumstances would take around 4 hours. Finally using a pipette, Q2 Bead was applied to a suede applicator cloth, wiped on to the surface of the car and the residue buffed again. 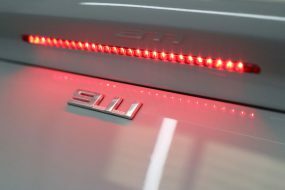 Once all the panels had been over coated with Q2 Bead the ST was stored in the studio, away from the elements, for twenty-four hours to allow the coatings to fully harden. 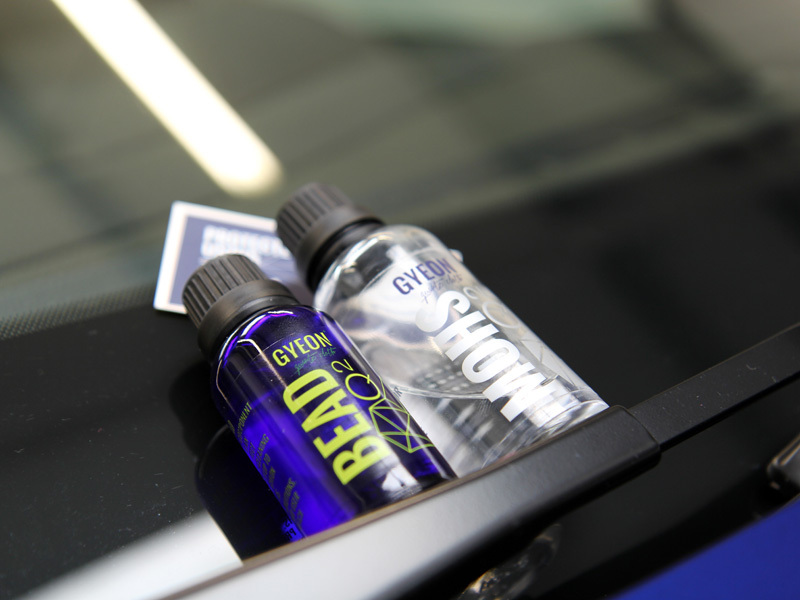 Once cured, Q2 Durabead requires machine polishing to remove and as such is available for application by professionals only through the GYEON-approved detailing network. Once applied the product performance is guaranteed by GYEON for two years. The glass was cleaned and then sealed using GYEON Q2 View, a hydrophobic coating which causes rain water to roll into beads on contact and allows them to be easily blown away whilst driving at relatively low speeds. 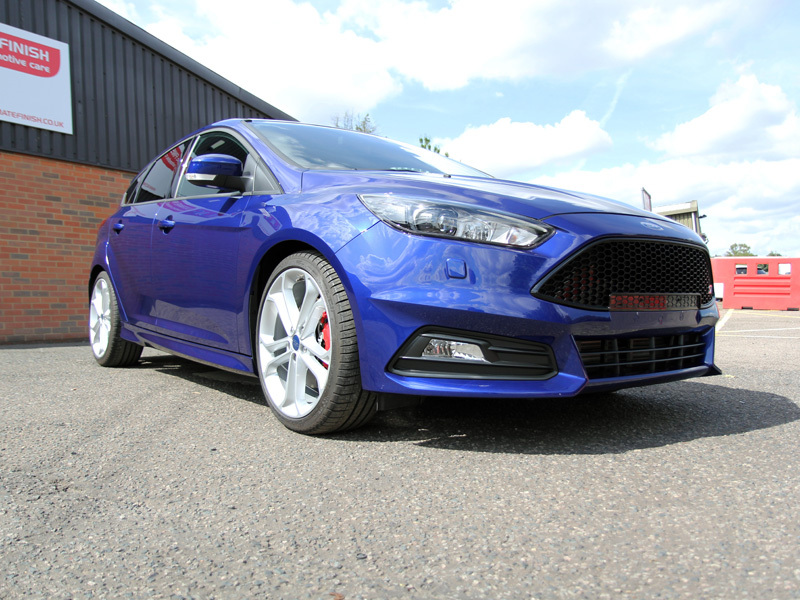 The Focus ST-3 looked absolutely stunning, the clarity of the paintwork fully restored and ready for at least 2 years of protection against the elements. 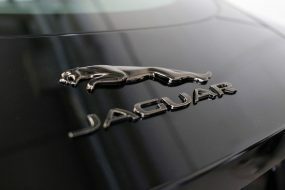 The Appraisal – How Well Do You Know Your Car’s History?